Hi, my name is Jo and I work in a specialty store that sells baby strollers. I have the experience you need to buy the best stroller for your child. I still remember my first stroller, the Bugaboo Frog. 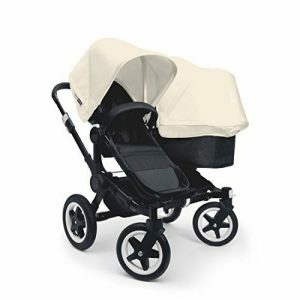 I've since updated to the Bugaboo Cameleon but my favorite stroller is the Stokke Xplory. If you are buying your first baby stroller then you are probably aware that there are many different types of stroller on the market today. It can be very confusing trying to figure out what is the best one for you and your baby. I have made up a list of the different types of baby stroller available and what they are for. This is the main type of stroller you'll see. 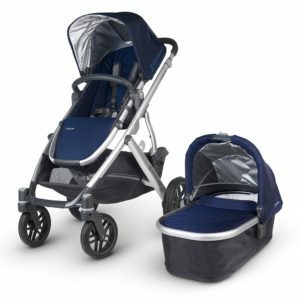 It will be heavier than an umbrella stroller and will be roomier and more comfortable for your child and have more room for a diaper bag and shopping. 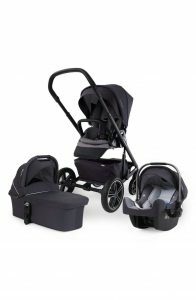 They can range from a couple of hundred dollars to over $1,000 for luxury strollers. Luxury strollers are at the high priced end of the market. These strollers have all of the bells and whistles and are great all rounders. They are normally very stylish and well engineered. Some examples are the​ UPPAbaby Vista and the Nun Mixx. However there is a down side. These strollers are normally heavier than normal strollers and they are very expensive. They can have one or two seats and most can be easily converted to a travel system. The umbrella stroller is a lightweight, affordable, folding stroller. The handles are usually in the shape of an upside down “J” (resembling the handle of an umbrella). They are light weight and easily folded and unfolded which makes them ideal for traveling. They do not take up too much space when folded. The amount of features available on these strollers varies quite a bit and the price will vary accordingly. This type of stroller is ideal for parents who live in the city as they are compact and maneuverable. The small wheels make them easy to steer but not so good over rougher terrain. Check out the best umbrella stroller. There are some top end umbrella strollers like the Bugaboo Bee. Double strollers have two seats. The seats can be either one in front of the other or side by side. There are many different seat configurations and seat height options. 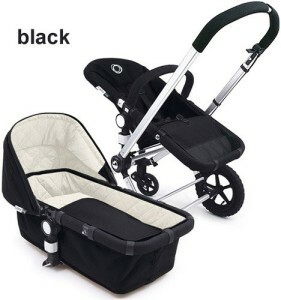 This type of stroller is ideal for families with two babies or with a baby and another child. Check out the best double stroller. 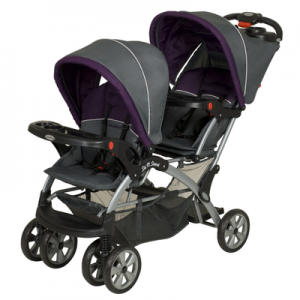 Triple strollers are ideal for families with three babies. The frames vary in design and features. The seats can be in line or side by side. There are many options on seat adjustments and accessories depending on the manufacturer. Check out ​my Bugaboo Donkey review and you'll see heaps of different options to choose from. 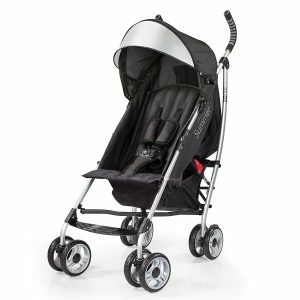 Jogging strollers are designed so that the parent can exercise while bringing their baby along for the run. They have an unusual shape and normally have two large wheels at the back and one larger or similar size wheel at the front. The front wheel can be fixed or slightly movable. The fixed front wheel is better for jogging but not so good when trying to maneuver around obstacles. 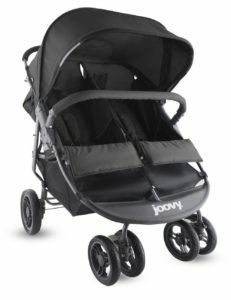 These strollers normally have a really good hood to protect your baby from the sun or the rain while you are running. 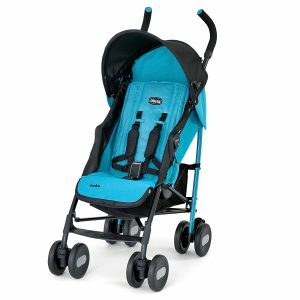 Some of the strollers are equipped with shock absorbers and mud guards over the wheels so you need to do a little bit of research and figure out what type of terrain you will be running on. Runners have to work harder when pushing a stroller and many find this improves their stamina. Check out the best jogging stroller. Tandem strollers are double strollers that have the seats in line (one behind the other). Some manufacturers have the seats so that one seat obscures the view of the other and others have the seats at different heights so that the baby at the rear still has a good view. Check out our article on Sit and Stand strollers. 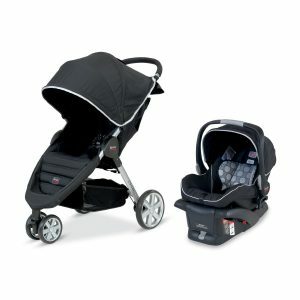 A travel system is designed to be a complete system for carrying your baby in a car or in a stroller. For example, check out the Nuna Tavo. The baby seat can be easily removed from the stroller frame. The seat is also approved as a car seat and is easily attached to the car. This means that you do not have to remove your baby from the seat when transferring from the car to the stroller or from the stroller to the car. These strollers vary considerably in price. Check out the best stroller travel systems. I know just how hard it can be to find the right stroller for you and your child. 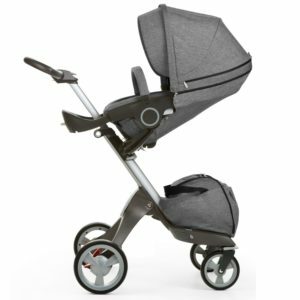 There are so many brands and models out there that it can be confusing to find just the right stroller. I designed this website to make it easier for you to find an excellent stroller with all the features you want. There are several things you have to keep in mind before you buy a stroller. In general, it’s better to spend more money on a stroller. A cheap one is going to break down and cause you problems. Your child will be in the stroller for several years so it pays to get a good one which is sturdy and reliable. You want a stroller that’s easy to maneuver around. 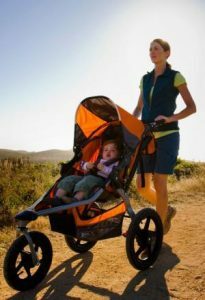 If you’re more active, a jogging style stroller is ideal as it will be rugged enough for longer walks. Make sure your stroller has a good padded seat, a sunshade and enough storage for all the gear you carry around with your child. You can mix and match features depending upon your needs. An umbrella stroller for example, is a great lightweight stroller to buy as they fold up nicely. They don’t have as many features as other strollers, but they make a good basic stroller to buy or as a backup travel stroller. I’ll make it east for you to find a great stroller to meet all your needs as I’ll review all the features, safety information and everything you need to know before you buy. I hope my website helps you find the right stroller for your child.